This summer PBS is travelling the globe, from China to Havana and beyond, to give viewers a sweeping look at many of the most fascinating places on Earth. 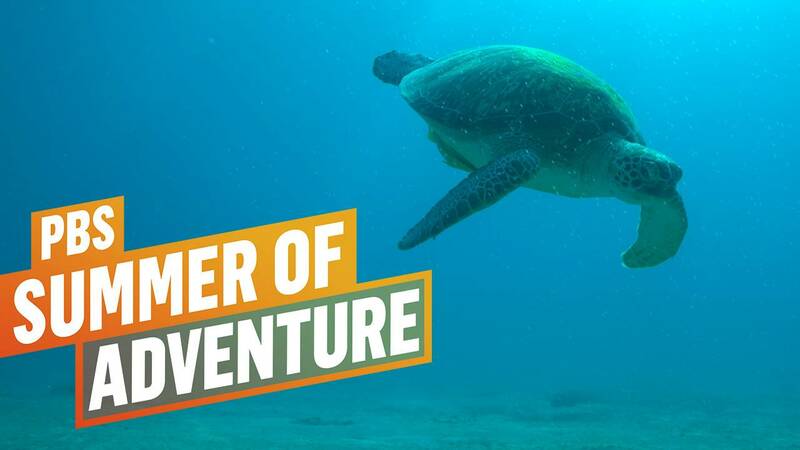 Kicking off the season, “PBS Summer of Adventure” presents several new limited series that take viewers to some of the world’s most amazing places and cultures. This strong lineup of history, science and natural history programming debuts with The Story of China (June 20-July 11) with historian/host Michael Wood, followed by Big Pacific(June 21-July 12), a look at the ocean’s rare and dazzling creatures; BBC co-production Great Yellowstone Thaw (June 21-July 5) with Smithsonian’s Kirk Johnson, who explores the dramatic seasonal changes that affect the park’s wildlife; Nature’s Great Race (July 12-26), a BBC co-production, in which scientific teams utilize new technology to track animals of the Arctic wilderness and African bush; Weekend in Havana (July 18), featuring a glimpse of the beauty of the city that only recently re-opened to Americans; RARE – Creature of the Photo Ark (July 18-August 1), renowned photographer Joel Sartore’s quest to document and save animals at risk of extinction; and Ireland’s Wild Coast (August 2), Emmy award-winning cameraman Colin Stafford-Johnson’s journey along his homeland’s rugged Atlantic coast. Later in the summer, PBS looks to the stars with two new specials: NOVA “Solar Eclipse” premieres August 21 as scientists observe the first total solar eclipse to traverse the U.S. mainland in more than a generation; The Farthest – Voyager in Space on August 23 shows viewers how NASA’s epic Voyager missions revolutionized our understanding of Jupiter, Saturn, Uranus, Neptune and their dazzling moons and rings. Travel with historian and host Michael Wood as he surveys the 4,000-year story of the world’s oldest continuous state, from prehistory to the present. To understand this global superpower, suggests Wood, you must look at its history. Plunge into the Pacific with researchers and cinematographers and see the ocean’s rare and dazzling creatures in a way never before seen on television. Filmed in cinematic 4K, the program examines an ocean that covers a third of the Earth’s surface. Journey with Kirk Johnson to Yellowstone, where wolves, grizzlies, beavers and great gray owls survive one of the greatest seasonal changes on the planet. As the temperature swings 140 degrees, cameras capture how the animals cope. On July 4, America’s national Independence Day celebration kicks off the festivities for our country’s 241st birthday with a star-spangled party and all-star salute. A CAPITOL FOURTH airs live from the West Lawn of the U.S. Capitol before an audience of hundreds of thousands, millions at home and to our troops around the world via American Forces Network. Traverse the Arctic wilderness and African bush as scientific teams utilize new technology to track caribou, zebras and elephants as they overcome obstacles and face fearless predators on their epic journeys. Join Geoffrey Baer as he travels to Havana, where dancers, musicians, architects and writers invite him into their lives to experience the color, culture and history of a beautiful and seductive city only recently re-opened to Americans. Discover the diversity, beauty and value of thousands of animal species at risk of extinction, and travel the globe with renowned photographer and Photo Ark founder Joel Sartore in his quest to save them. Join Emmy-winning wildlife cameraman Colin Stafford-Johnson on an authored journey along Ireland’s rugged Atlantic coast, providing insights into the wild animals and wild places of the island he calls home.